As a new month arrives, so do the specials! 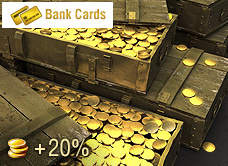 We've got four new Gold bundles for Bank Card users available in the Premium Shop. 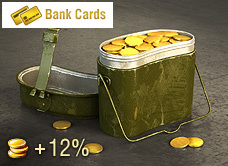 If you're looking to resupply, or speed up your progress towards the Object 268 in the latest On Track, nothing bolsters your arsenal better than Gold reserves! You can use Gold to buy Premium days to increase your Credit and XP earnings after every battle, or use it to buy Credit-earning Premium vehicles like the recently released AMX CDC and STA-2! These bundles are here for a limited time, so pick yours up while you can! 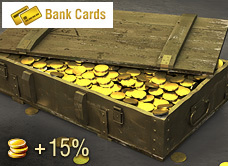 Here's a guide on how to change your country (location) in the Premium Shop.